I Joined The Sigma Affiliate Program ♥ | Memorable Days : Beauty Blog - Korean Beauty, European, American Product Reviews. I recently joined the Sigma Beauty Affiliate Program and the Sigma Incentive Program. You've probably heard of Sigma before right ^__^? Sigma sells a lot of high quality handmade brushes. They offer a complete line of professional brushes specifically designed to highlight eyes and face. As an affiliate you will get the latest news on new Sigma brushes and you will also receive a 10% commission on purchases made by new clients using your affiliate link. 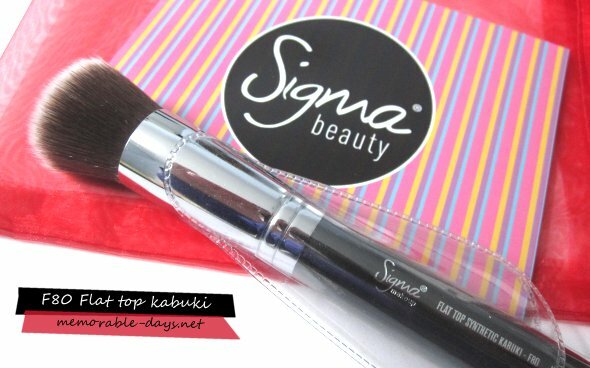 They also offer a reward program where commissions will count as points that can be used to redeem products at www.sigmabeauty.com. Also sponsored giveaways will be available to top sellers. How awesome is that ^__^ ?! The Sigma incentive program was designed to acknowledge and support active and new affiliates with great potential to generate sales. If you have a blog as well (I'm sure you have, since most of my followers are bloggers haha) you have to read carefully since I'm going to share some awesome stuff xD! You can apply to receive a FREE Sigma brush for your personal use, review or for a giveaway. The product you will receive will be based on your number of subscribers on Youtube or on your blog. Sigma will ship it worldwide ;). If you have followed me through Facebook you know that I received the F80 – Flat Top Synthetic Kabuki a week ago from Sigma Beauty. This brush is from their Sigmax brush line for high definition, flawless makeup application and its worth $16. I received it for reviewing purpose, so stay tuned for my review ;). 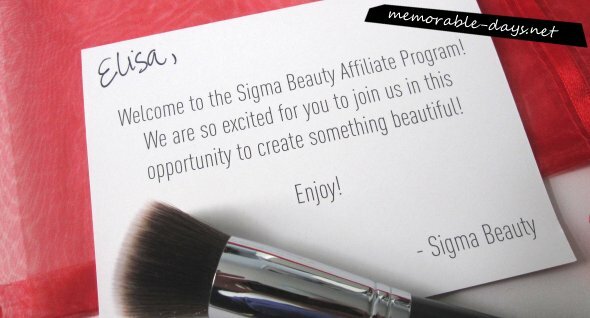 JOIN THE SIGMA BEAUTY AFFILIATE PROGRAM! Leuk voor je! :D Toppie! @Michelle, yeah i think so too ^^ and this is the first company that I know who does a reward program like this ^__^! It's great! i signed up as well :) i love that brush its amazing! whoa this is awesome. Thanks for the headsup! this is neat! I can't wait to read your review on the brush! It's nice of them to allow any blogger, with any amount of followers to sign up and still receive something! P.s I passed you an award on my blog! @Donna, yeahh it's so soft o_o omg !! Good post =) I love the Sigma program! I just found your blog and i love it! @hihihi, you mean by signing up? i can't remember anymore >.<" .. but you can just put a fake personal phone number there, they won't call you lol. just make sure that your address is real.